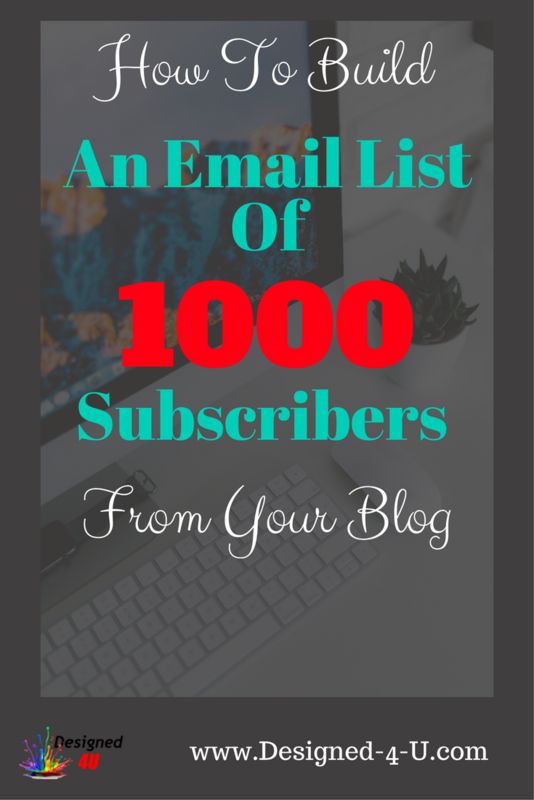 Building a list of email subscribers is a vital part of your blogging journey. Email marketing if done correctly it can produce you a full time income. 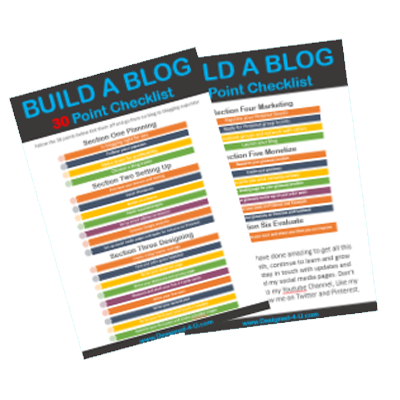 If you don't yet have a blog you can build one by following these 10 simple steps. Disclaimer :- Please note that this post does contain affiliate links and if a purchase is made through my link I get a small commission. However there is no extra cost to you and by helping me I am able to continue to give you free information and advice. When I first started online I was told to build an email list, I of course began with all good intentions and after a few days of learning, I managed to build my first optin page and my list building journey began. But I lost focus, and jumped from product to product, even niche to niche and found it really hard build any momentum. I was frustrated, I was doing what most of the gurus tell you to do and it wasn't working. arrghh ! It all changed when I finally found a niche I was passionate about and stayed focus on creating great content that would help others achieve their goals... and it worked I started to gain more subscribers, my open rates grew and I had very few followers leave my list.. and that is still true today. I even started to build an income stream... yeah! I take it that's exactly what you want to do too, build a list and start to make money from it every month. 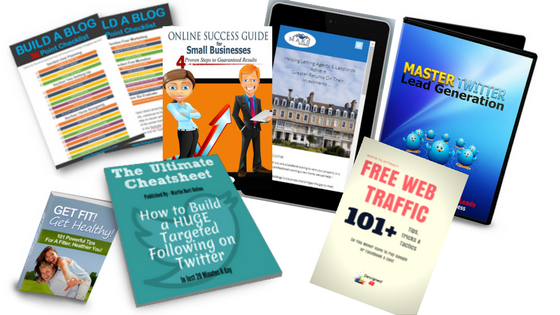 Carry on reading and I will walk you through the steps on how I use my blog to get subscribers every day virtually on autopilot added to my list. And you can too! Before we get down to the nuts and bolts of building your list, let me explain briefly what an email list is. An email list is a collection of names and emails (sometimes more information too) that is held by an email marketing platform. You can then email these people on a regular basis and keep them informed about your company, products and services. The emails are collected by offering potential customers a free incentive. In return, they give you their details. I have always used AWeber as my email marketing platform, you can get 30 days for free when you sign up. One of the most popular email marketing platforms on the internet. I have used them since 2010 when I first started online. With their powerful easy to use features, you don't have to be an expert to use Aweber. This makes it ideal if you are just starting with email marketing. I have never had to contact their support as they have always produced the results I need, but if you did have any issues their award winning customer support are their to help you. I have always found their deliver-ability reliable and fast, which is what you need. You can email with confidence knowing your emails will get delivered and read. If you need guidance you can view their training videos, webinars and ongoing updates on their blog. You can sign up for a 30 day free trial direct from this article, and start building your list today. The primary reason for building your email list is it's yours you own it. You have full control over what emails are sent out and the content they hold inside them. Building a following on Instagram, Facebook, Twitter or even Youtube is amazing and should be done but you are never in charge.... I found this out the hard way on Youtube when I done a product review for a company I was promoting. I had built up a following and thousands of views over a few years. This was wiped out in seconds as any video associated with this company were targeted and all accounts taken down. I have had to rebuild my Youtube again. So to cut a long story short, your list is yours start building it today. It's also a great way to build strong relationships with your customers. People do business with people they like and trust. Email marketing allows you to build that trust, if done correctly. Remember when creating giveaways so that people can optin to your list. See if you are targeted down enough. Being too general will get you subscribers but probably no sales and of course that's what we are after. For example offering free cooking recipes is good but gluten free recipes is much more targeted and would get you better results as it solves a specific problem... Also is there a market to sell other products or services in that niche too. So you have done the hard part by offering your subscriber a free incentive to sign up for your list. Well done for that. Now you have to decide what emails to send them. These can be set up in your email marketing platform and sent out automatically. A Welcome Series - This series consists of 4 -6 emails sent over a week, the first email is an introduction about yourself or company, where they can find you around the internet, example your social media accounts and what they can expect from you. You can continue telling them about yourself in the second email along sending back to your blog to one of your best posts. The remaining emails will continue to give great value, maybe another free gift or resource all the time building a relationship with your subscriber. Don't panic here if this seems a lot of work, you can set it up once and forget my email marketing platform AWeber makes this super simple to do. A Product Funnel Series - This works well for affiliate products as well as your own products, if you have them. Send over a week to ten days 2-4 emails mentioning an issue or problem that your subscriber might have. Direct them back to your for the first 2 emails where you can explain what the product is and where to get it, use images and videos in your blog posts. 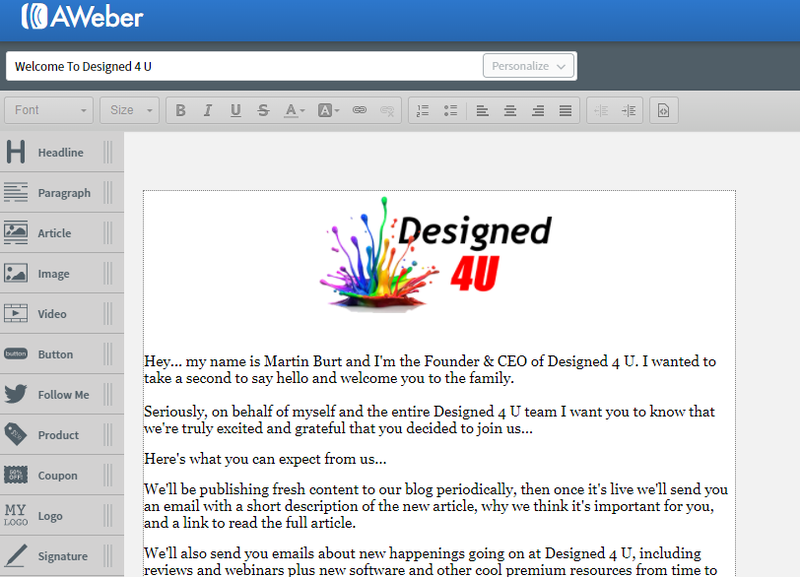 Emails 3 -4 can be similar but have links directly to the product in your email as well as more blogs. An Upsell - After a customer has bought a product you can use your email marketing platform to have a series of emails go out over a few days with a special offer for an upsell. Again send them back to your blog for information but also make the offer time sensitive as that tends to work better. Weekly Tips - Deliver a weekly tips to your subscribers. If you have 52 of these ready you could add them into your email marketing platform and forget all about them and your subscribers will have great content every week for the next year... you can also add these as you produce the tips of course, that's what I would do. The email marketing platform I use AWeber allows you to pre load as many as you like. A Weekly / Monthly Roundup - If your niche has loads of new information or you are blogging a few times a week then a weekly or monthly roundup would work well. Your Newest Blog - Every time you post a new blog then email your list and send them back to it, be sure to prompt them to leave a comment and share it also. That will create even more traffic for your blog. Surveys - Another good email to send, especially when you are just starting out or looking to build your own products is a survey. Use a survey to find out what your followers want. Then give them exactly that ! There's a lot of information is this article especially if you are new to email marketing, just remember I am here and happy to help you. If you have any questions then please post them in the comments below and I will endeavour to answer them as quick as I can.